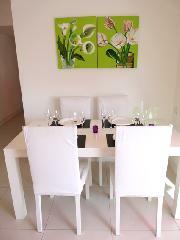 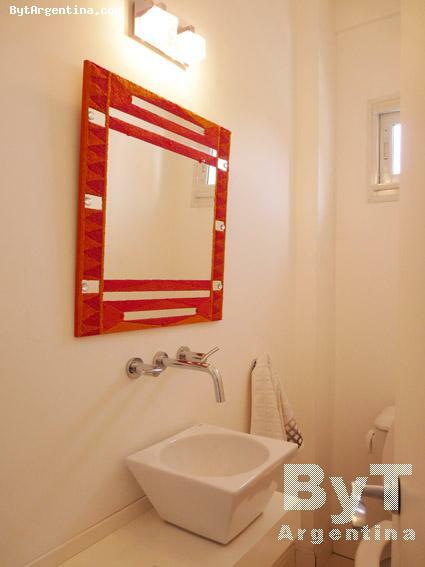 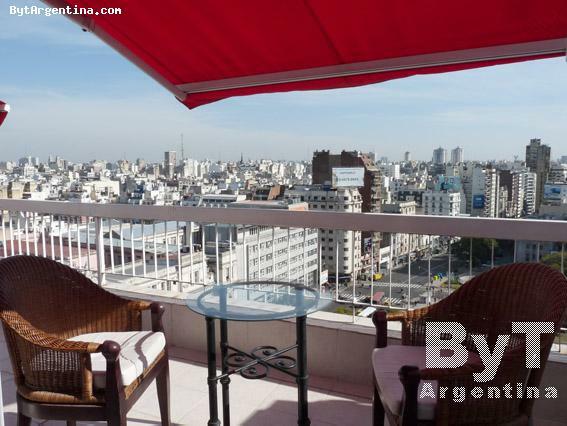 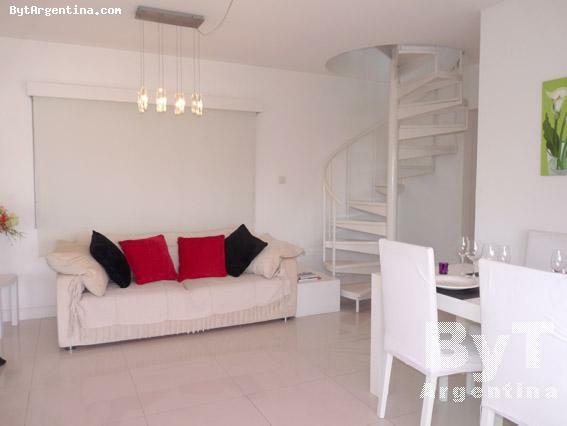 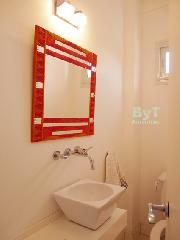 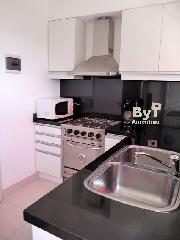 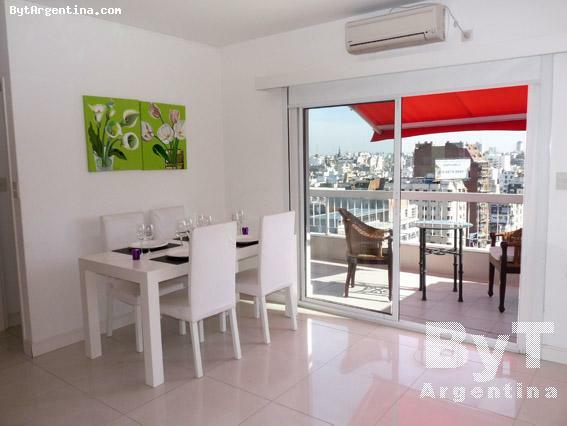 Beautiful one bedroom apartment with a great private terrace. 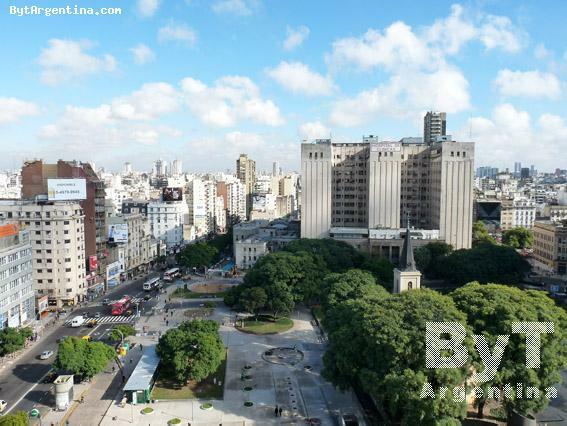 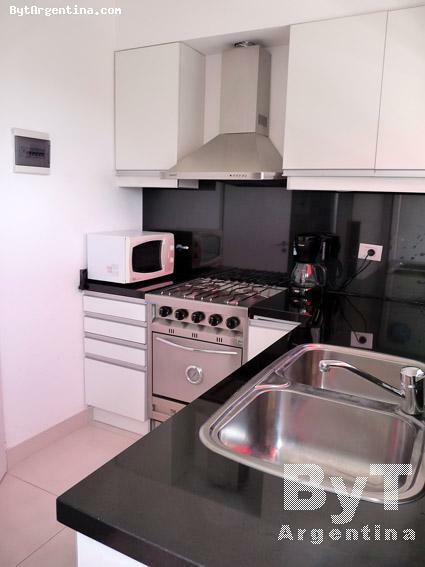 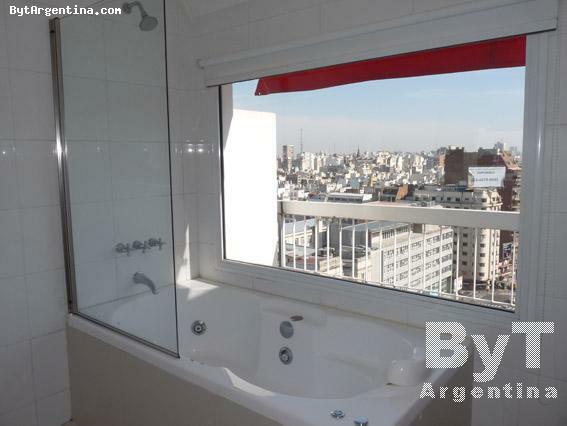 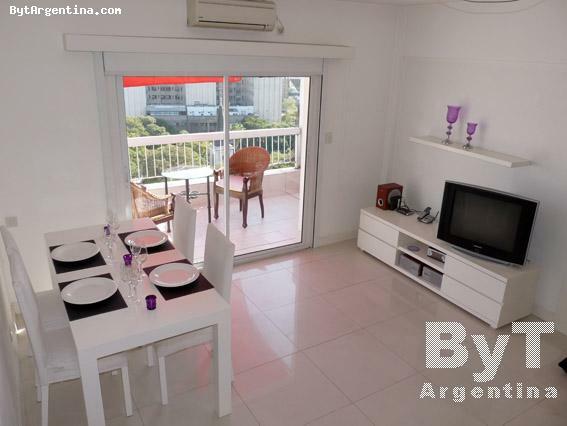 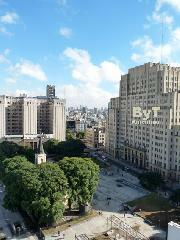 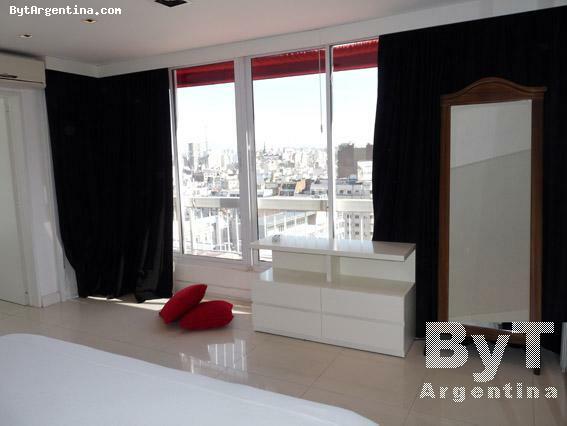 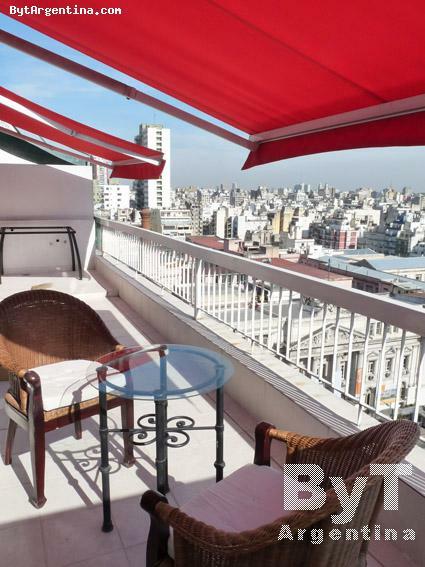 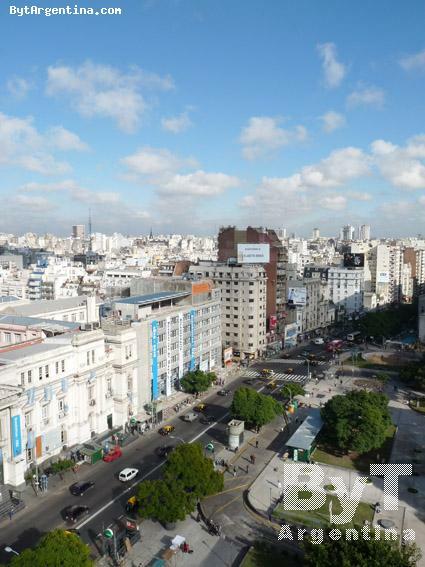 It is located just a few steps from the Cordoba avenue, and very near to Santa Fe Ave.and Callao, in an area surrounded by Universities, cultural centers, coffee-shops, restaurants, cinemas, shops and public transportation and the subway stop. 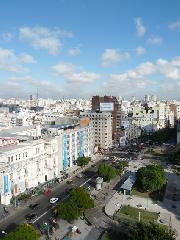 The flat is splitted off in two levels. 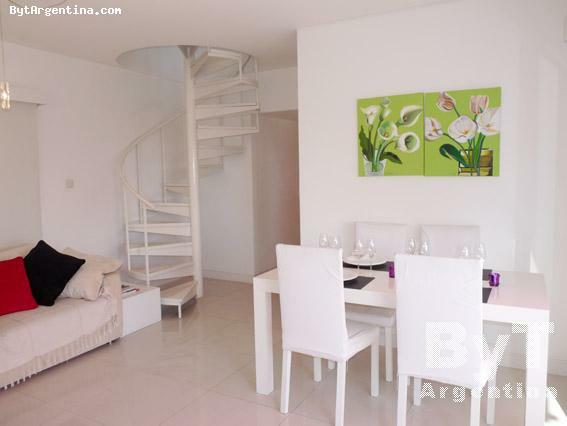 The first level offers a living-dining room with a single sofa-bed ( ideal for kids ) and a dining table for four people, one half bath, an equipped kitchen and the balcony terrace with an amazing view. 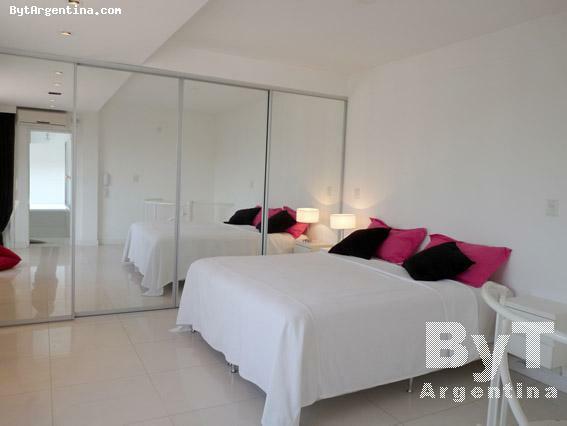 Upstairs has one spacious bedroom with a king size bed and full bathroom with jacuzzi.tub. 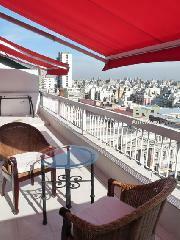 The apartment is equipped with Wi-Fi Internet access, cable TV, air conditioning, DVD and homr theater, fridge with freezer, microwave, dishes, kitchenware, linens and towels.